It's 1911, and I'm noticing that now that since we're getting older, we should do a little bit of those modern exercises that everyone is talking about. 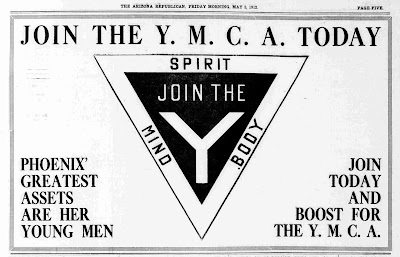 Let's go to the YMCA, the Young Men's Christian Association. 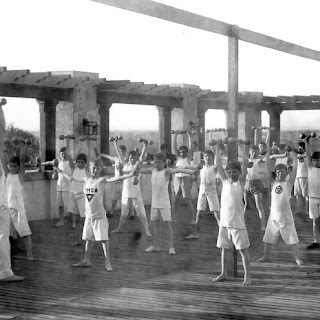 Most people just call it the YMCA. Sure, you could call it the Y! Since I'm thirteen, and you're only eleven, I'll lead the way. It's over in the Federal Park, on Monroe just east of 2nd Avenue. Sure, let's run! 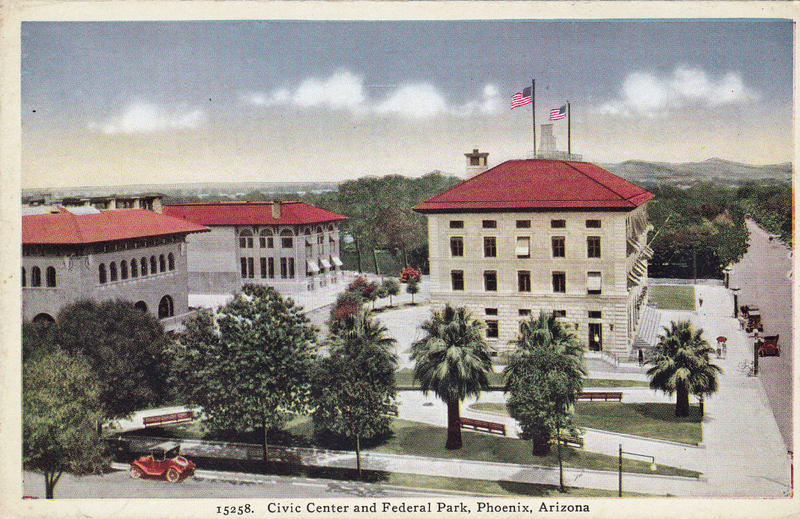 The Federal Park, between 1st and 2nd Avenues and Van Buren and Monroe. You're looking north. The YMCA is on the left. It's a beautiful spring day in Phoenix so we'll be up on the roof. We may be able to catch a cool breeze! No, you don't need shoes. Only old people wear shoes. Here you go: these are called "dumbbells". No, you don't ring them, you hold them and move them around. Yes, they're kind of like bells except that don't make any noise, that's why they're called "dumb". They're all the rage nowadays, like Indian Clubs. You just hold onto them and swing them around. They'll build up your muscles! 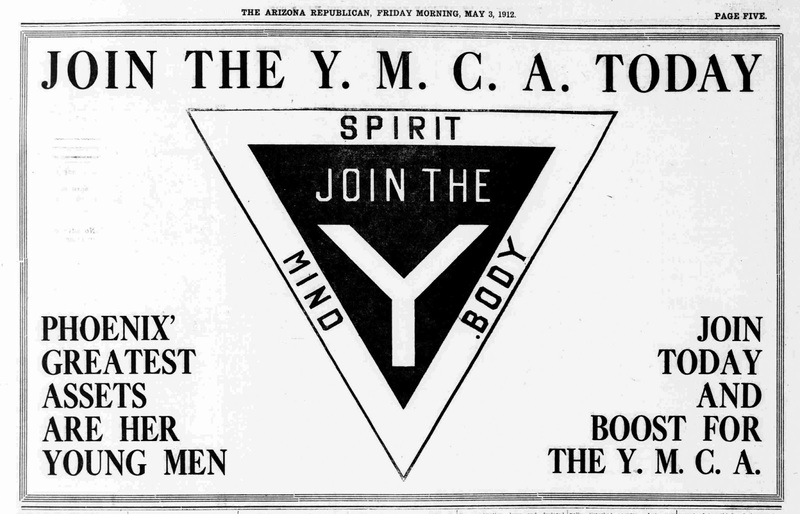 1912 ad for the YMCA, Phoenix, Arizona.